A mixture of music today. Yesterday I listened to the first hour of the Neon Beat- today I listened to the 2nd and 3rd hour. We have Sirius/ XM Radio- and If I am around the house and remember -at noon on Saturday’s- on the 70’s on 7 channel they will replay an old American Top 40 with Kasey Kasem. Today it was a repeat from AT40 on February 27, 1971. My wife and I both agreed, a lot of bad music was popular on this week. There were some songs that are considered iconic today that was in the Top 40 that week- ‘My Sweet Lord”- George Harrison, “Me and Bobby McGee”- Janis Joplin, “Help Me Make It Through The Night” -Sammi Smith. There were other good songs but so much garbage- for example what was #1 that week? “One Bad Apple” by The Osmonds was in the middle of what would become 5 consecutive weeks at #1. After AT40 I listened to the 70’s on 7 station for a couple more hours. CREAM: THOSE WERE THE DAYS:DISC 1: 1997: 5 STARS OUT OF 5 STARS: IPOD: The first disc of this four disc Cream retrospective covers their first two albums- “Fresh Cream” and “Disraeli Gears.” What a great band. I was wondering if there has ever been a rock band with greater musicians- Jack Bruce-bass, Ginger Baker-drums and Eric Clapton-guitar are all on the shortlist of greatest at their instruments. 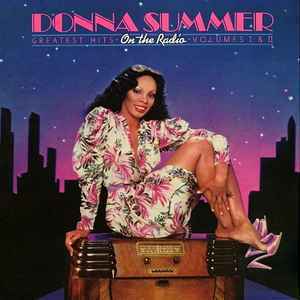 DONNA SUMMER: GREATEST HITS: ON THE RADIO: VOLUMES 1 AND 2: 1979: 5 STARS OUT OF 5 STARS: Summer’s greatest hits up to her “Bad Girls” album. I can do without her first couple hits but from say 1977 or 78 on I love most of them. My wife liked this album so much she asked me to play it again. I talked her into another Donna Summer album instead. DONNA SUMMER: THE WANDERER: 1980: 5 STARS OUT OF 5 STARS: 1980: I played this album just a week or so ago. Sometimes artists make awful career decisions but Donna Summer’s decision in the late 70’s as disco was dying to go to a harder sound was a brilliant career decision. Not that I pay much attention to mainstream music these days, since I find it too depressing, but I think I’d take a week where you have “My Sweet Lord” and “Me And Bobby McGee” in the charts! As for disco, I know many folks who like me are into ’60s, blues and classic rock get an allergic reaction when they hear the word disco. I actually think there is some good stuff in that genre, especially some of the African American artists like Donna Summer. I even saw her once (a few years before she passed), and while she wasn’t jumping around like a Tina Turner, it was a pretty solid performance. That woman could actually sing! Gloria Gaynor and Dina Ross (Upside Down) are two other artists who come to mind. And let’s not forget Earth, Wind & Fire and Kool & The Gang, though I realize these are not pure breed disco artists but bands that added disco elements to their sound when disco was big. Last but not least, I’m totally with you about Cream. What an amazing band – they don’t make ’em like this any longer! Given the infamous bad (physical) fights between Ginger Baker and Jack Bruce, it’s kind of a miracle to me they made such great music, lasted as long as they did and made it out alive! Like you I don’t pay any attention to mainstreem Top 40 type music of today. I would have to look over that Top 40 from 1971 but I’d guess 15 of the 40 songs were good to great. I doubt I’d find 15 songs from today’s 40 that I’d find that good….. At the time I must admit I didn’t like disco at all but I was a teenager at the time and l just couldn’t admit to it. Abba would be another group that during the 70’s I couldn’t admit to liking that I now think were great- at least as a singles band. …I agree with you on all those disco type artists you mention-.. Have you seen that documentary on Ginger Baker? Excellent. He’s nuts lol. We saw Jack Bruce play at Ronnie Scott’s Jazz Club In London a few years back. It was then I realized how gifted a musician he was. That must have been pretty awesome.